Dobroliubov, Nikolai [Dobroljubov, Nikolaj], b 5 February 1836, d 29 November 1861 in Nizhnii Novgorod, Russia. (Portrait: Nikolai Dobroliubov.) Russian revolutionary publicist and critic, described in official Soviet publications as a revolutionary democrat. Together with Nikolai Chernyshevsky he was one of the leading associates of the journal Sovremennik. 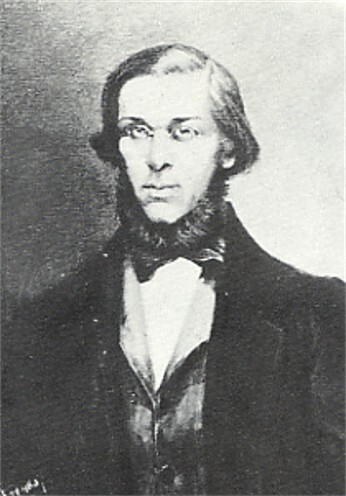 He wrote a number of articles on Ukrainian subjects, among them ‘Kobzar’ Tarasa Shevchenko’ (Taras Shevchenko's Kobzar, 1860), which gives a favorable, although superficial, evaluation of Taras Shevchenko as a ‘poet of the people.’ He also wrote articles on Marko Vovchok and on Ukrainian folk songs. The thesis that Dobroliubov influenced Shevchenko, which was widespread among Soviet scholars of Ukrainian literature, has no basis in fact.